Pregnancy hormones make moods volatile, and so does having nothing to wear. 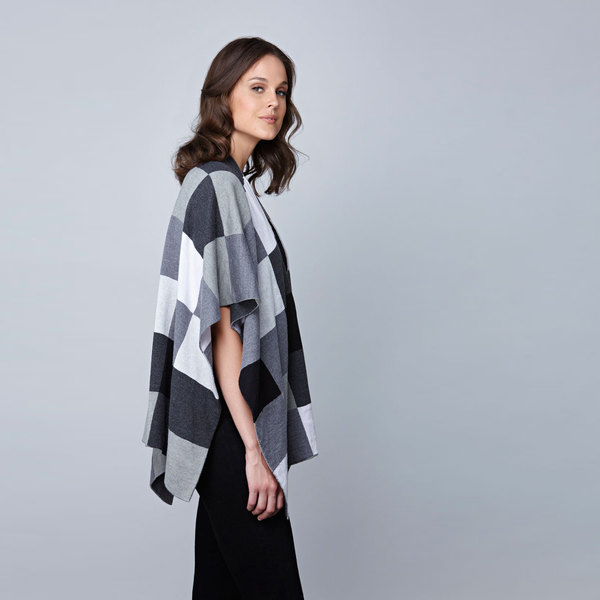 Reaching the end of 40 weeks is the only way to escape the roller coaster of emotion, but Uimi can fix the wardrobe issue with its range of ponchos and capes, perfect wool layering pieces that fit pregnant bodies, and that will look fab after pregnancy too. Made from baby alpaca wool, the Alexa Poncho ($229) hits at the hip and has a pretty lace knit that makes it lightweight enough to wear over woolly jumpers without getting too hot. The Dusty Poncho ($179) is tunic length and made from Merino wool. The silhouette is pleasantly slouchy, and the shaping lines from the shoulder to hem do a good job defining the body hidden under a lot of fabric. 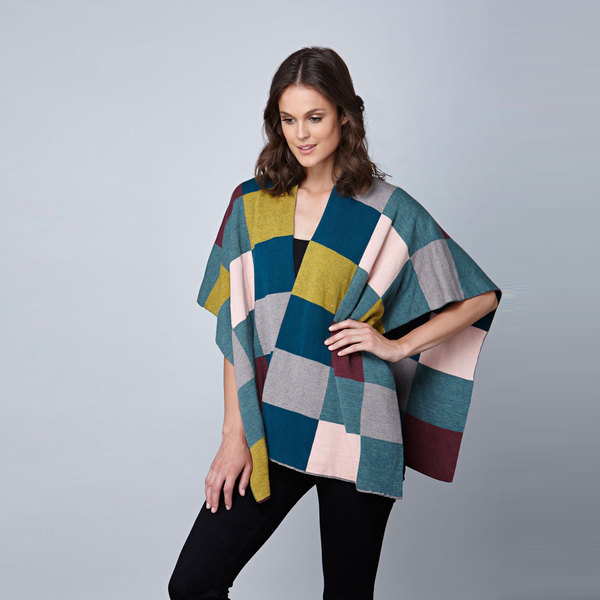 The Frankie Cape ($249) is colourful, patterned and versatile. It has a button closure for the cape style, or it can be worn as an oversized wrap. If you’re pregnant, you might have noticed that it’s hard to find a coat that closes over your belly. Uimi’s capes and ponchos are a lovely alternative. After your baby is born, they make for easy access, cosy nursing covers. Uimi is available online and shipping is free in Australia. While you’re choosing your favourite wearable Uimi piece, take a look at our previous post about their winter 2016 nursery blanket collection.